From Aspen: Hi! 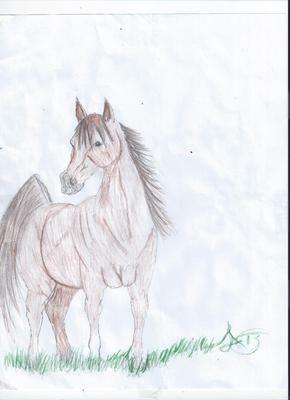 This is 1 of my 2013 horse drawings. 1 of my favorites. She's an Arabian. I was going to go with black but the (burnt coffee) color popped out at me. It's totes amaze!!! arabians are my favorite horse. you are a great artist!!!!!!!!!!!!!!!! !